Community-oriented healthcare ties technology, acute treatment and chronic care together. Above all, it takes into account the full range of each person’s needs, from food availability to social interaction. See what this future looks like through the eyes of a leader in community-oriented healthcare when Nancy Howell Agee joins me on the Leading with Health podcast. 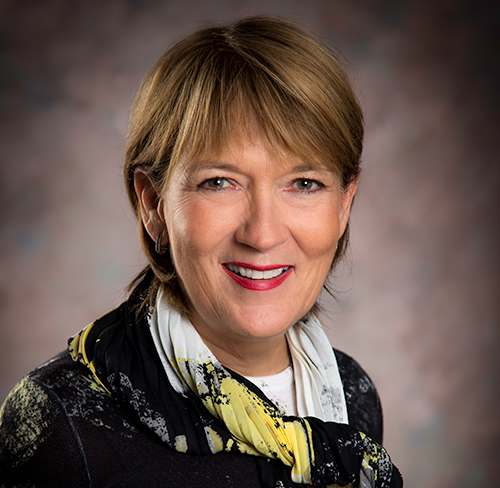 Nancy Howell Agee is the President and CEO of Carilion Clinic, a $2 billion not-for-profit, integrated health care system headquartered in Roanoke, Virginia, serving over 1 million people in Virginia and West Virginia. Ms. Agee is the immediate past chair of the American Hospital Association. She was named one of the Top 100 Most Influential People in Healthcare by Modern Healthcare in 2016, 2017, 2018 and one of the Top 25 Woman in Healthcare by the same national magazine in 2017. She received the Gail L. Warden Leadership Excellence Award in 2018. Ms. Agee is a former member of the Board of Commissioners for the Joint Commission and past chair of the Virginia Hospital and Healthcare Association and the Virginia Center for Health Innovation. New models for caring for the whole patient – and ensuring the right care is given at the right time in the right place at the right price. How healthcare technology can support community-minded healthcare – and its impact on elderly populations. How social determinants of health will steer the future of healthcare – and why your zip code could be the key to your health. Jennifer: 00:00 Hi, everybody! Welcome to the Leading with Health podcast, where we are on a mission to improve healthcare. I’m your host Jennifer Michelle, President of Michelle Marketing Strategies and, for me it’s really all about helping people. That’s my passion and the companies I work with really share that goal. I come to you with a little different background than your average marketer. I have a background in Public Health and Epidemiology and I also volunteer as an EMT. So I like to think I bring a somewhat different perspective to our conversations here on the podcast and today we have something really special for you. In Leading with Health today, we are talking with Nancy Agee of Carilion Clinic. Nancy Howell Agee is the President and CEO of Carilion. It’s a $2 billion, not-for-profit integrated healthcare system headquartered in Roanoke, Virginia and it serves over 1 million people in Virginia and West Virginia. Jennifer: 00:52 Ms. Agee is the immediate past chair of the American Hospital Association. She was named one of the top 100 Most Influential People in Healthcare by Modern Healthcare in 2016, 2017 and 2018, and one of the Top 25 Women in Healthcare by the same national magazine in 2017. She received the Gail L. Warden Leadership Excellence Award in 2018. She’s a former member of the Board of Commissioners for the Joint Commission and past chair of the Virginia Hospital and Healthcare Association and the Virginia Center for Health Innovation. So Nancy, that is quite a list there! It is such a pleasure to have you on the podcast. Welcome! Nancy: 01:28 Thanks so much, Jennifer. And you’ve just told me something I didn’t know and that is that you volunteer as an EMT. How exciting is that? Thank you for doing that. Jennifer: 01:39 And thank you for taking care of a million people in Virginia and West Virginia! I love being an EMT. I’ve been doing that for about two and a half years. It’s kind of fun, it’s definitely a unique experience, that’s for sure. Nancy: 01:50 And are you a trained EMT? Do you work through the rescue squad service or the Fire Department or how is that organized? Jennifer: 02:02 I’m certified. I work through the Fairfax Rescue, which is the town I’m in and we do backup for several other communities because it’s a little bit of a rural area out here in Vermont and we help a lot of neighboring communities. Jennifer: 02:14 It is fun. Well, and I know if I recall right, you started your career as a nurse, right? Jennifer: 02:21 Right. So I think that is one of the things that I always find very refreshing about your perspective. You started really in very hands-on patient care and I know when we spoke last summer, and for everyone listening, Nancy and I had a chance to speak over the summer, which is why I got so excited at the thought that she would come on the podcast. And at the time, Nancy, you said something about how you care a lot about care. To me, I think that was beautifully put because I think very often there are so many changes and new technologies and all these things coming into healthcare that the care gets lost in the mix. And I just wanted to talk with you a little bit more and get your thoughts on that because I guess I’ve always assumed it’s because of your background in nursing that you just so clearly see that that is what this is about. The patient care at the center. Nancy: 03:14 Thank you. I don’t recall exactly saying those words but they’re exactly what I think. So let’s just go there. Jennifer: 03:27 You were saying something about the right care at the right time in the right place. All these pieces had to come together to make it work. Nancy: 03:33 It does seem to me that, for everything that we talk about in healthcare and healthcare delivery, healthcare reform, at least those of us in the C-suite, we spend an awful lot of time talking about financial consequences of care, cost of care, how we get paid for care. And we talk about quality of care and we talk about capital and we talk about equipment and we talk about all sorts of things as if care is secondary to any of that or is not the highest priority. And I guess I take a little offense to that and remind our team all the time: . it is about care. We are in a distinctly different business. We’re in a human business, the most human of all businesses and where people are truly the most vulnerable when they’re in our presence. Jennifer: 04:45 That’s so true. Nancy: 04:45 And so I do care a lot about care. Jennifer: 04:53 I wanted to ask you this because you brought up the issue of price and, obviously, that’s a huge factor in healthcare in the US right now. It’s huge, but I also know that always going for the cheapest doesn’t always lead to the best result. And I just wanted to know your thoughts on that because I’ve always seen that you had a broader vision of healthcare and you think, you know, this test might be cheaper here, but if you have to do A, B or C, does that really lead to a savings and better care at the end? Nancy: 05:26 Oh wow. Great question. The thing I’m most interested in and have been now for quite awhile is affordability and access to care. Let me just comment that one thing I say is that our care for patients doesn’t stop at their pocketbook. It includes that. And our advocacy for our patients should include advocating for their pocketbooks. What I’m concerned about is total cost of care associated with high quality care. So one can say that the definition of that is value, but you have to be very careful that a whole bunch of unit activity doesn’t add up to total cost of care. And you may be actually spending more money. I’ll give you a couple examples. So if you go here for your primary care, but then you need a chest x-ray and you go there for a chest x-ray and then you’re going to need, say, a screening procedure and you go someplace else for endoscopy and pretty soon you really have created this amalgam or puzzle of care that may be much more costly than if you were concerned about total cost to care and how to do the right thing at the right time. The other piece of that I think is the electronic health record. And while, eventually, II think we’ll get an interoperable healthcare record that’s portable, that we, as individuals, own. But that’s a real important piece so that your caregivers and you know everything that’s going on with you at the same time. And so if you’re going from emergency room to emergency room or to urgent care back to primary care and they’re all in different work streams, you might not be getting the best care because your caregivers don’t know what kind of care and what activities you’ve been involved in. They don’t know what your medications are. They may order new treatments, I mean new diagnostic procedures that you’ve already had. So yeah, a really interesting comment about cost of care. Looking for the cheapest care may not be the best care. Jennifer: 07:52 Well, it’s interesting that you talked so much about interoperability and access. I don’t know if you caught my previous podcasts, but it was with Laura Adams of the Rhode Island Quality Institute and they have made huge strides at making really solid data available to everyone within their networks in that state. And it was directly because the system – she has a story that she recounted about a patient who went to a different, I think emergency room, I don’t remember the exact details now and they didn’t have access to their records and made the wrong interpretation of what they were seeing and the impact of that on the patient was just tremendous. I don’t think that they survived, actually. So it was a wake-up call. This was many years ago and they have built this whole system based on the idea that you should have access. And so I think that is something that the whole country is starting to wake up to. We need to be able to see this at any point of care. So let me ask you, something that is another model of healthcare that I keep encountering. It’s a little different, but I think it responds to what you were talking about regarding care of the whole individual. I’ve been reading more on Twitter and some other places on the palliative care model and it really is something that we think of as end of life. And yet, every time I hear about it I think, isn’t that what we need at every point in our life? Someone who’s thinking about all of our emotional well-being and the and the support systems we have, as well as our physical well-being. And I’m just wondering if you’ve seen any changes over time and how that’s being received. Because, to me, that should be something that could be a model for all types of healthcare. Nancy: 09:42 What a clever idea. I’m not being facetious. I think putting the patient both in the middle and also in charge of their healthcare and, therefore, incumbent on all of us in healthcare delivery to figure out what are the real needs and how do we provide for those is incredibly important. It’s interesting to separate palliation from hospice care. So hospice really is end-of-life care and it incorporates palliation. Palliation isn’t always end-of-life. It can be palliation for pain control, for chronic disease management. And you’ve really taken it to a different level. How do we model using the constructs both of hospice and palliation to care for the whole patient? Jennifer: 10:40 I just felt like that made sense to me, especially because – I don’t know if you follow it on Twitter at all, but some of the palliative care doctors in their tweets clearly get frustrated that everybody thinks that they’re the same as hospice. And that everybody’s given up before they’re brought in. They get so frustrated with that – there are rather amusing tweets about it. So it helped me realize that it was very different than what people thought it was. Nancy: 11:08 And you know there’s also interesting data about hospice, just to talk about that for a second. Oftentimes patients who were admitted to hospice live longer than patients who aren’t admitted to hospice with the same healthcare issues. So hospice is another way of wrapping around services and while it is end-of-life, there were some really important lessons to learn there. Particularly when it comes to pain control, to psychosocial needs and to incorporating the family, however one interprets their family. And what they want from their family and friends and how they’re provided care. Jennifer: 11:59 Well, I think that actually ties it in beautifully to what I wanted to talk to you about next. And this is actually something, I don’t know if you remember this either, but this is something that really hit home with me when we spoke over the summer. You had this vision of how healthcare technology could blend with other kinds of healthcare and be more of a support for a whole community-oriented focus of healthcare for people now. And you gave this description, I think it was of an imaginary patient, named Myrtle. Do you remember this? Jennifer: 12:31 I would love to hear you talk more about that because it was so beautifully woven between the caregiving that I think is so critical and the technology that opens up so many doors. So would you share that with the people listening? Nancy: 12:49 I would be happy to. I’m guessing that, as I tell this story, your listeners will all know my friend Myrtle because they all have a Myrtle in their lives. So Myrtle is an 84-year-old female. She’s a widow. She doesn’t drive. She lives in an older part of town in an apartment on the second floor and she has two daughters who love her very much. One daughter is a professor in Iowa. The other daughter is a homemaker in Florida. Myrtle has three chronic illnesses. She has congestive heart failure, diabetes and kidney disease. She’s also recently been diagnosed with depression. So, you know, what happens to Myrtle? Myrtle sets in her apartment, she watches television. She becomes increasingly socially isolated. She doesn’t eat nutritious meals. She doesn’t shop. And what happens? She gets sick, she comes to the hospital where we’re great at taking care of Myrtle and we’re perfectly formed to take care of Myrtle’s acute care needs. And we do. And then we send Myrtle back home and Myrtle stays in her second floor apartment. And once again, after several weeks, she’s not eating well. She’s socially isolated. She gets sick again. She comes back to the hospital once again, we take great care of her and this time maybe we’re a little smarter and we send her home and we make sure that she has home health, but home health can last a couple of weeks. What happens after that? Nancy: 14:40 Myrtle gets sick. She comes back in the hospital. This time we call her two daughters and say, we think Myrtle needs to go into assisted living. And they sadly say, yes, we agree and we go through that scenario. What’s wrong with that story? Now let me give you a new paradigm. Myrtle comes into the hospital. The first time we identified that Myrtle doesn’t have a primary care physician or a case manager. So first of all we get her well, we assign her a primary care physician. We assign her a case manager. The case manager meets with her when she’s discharged, our pharmacist meets with her and then the pharmacist the next day goes to her home and helps her set up how she’s going to take her pills. That she has the medications that she needs. We set up in her home a digital scale, so she has to get on her scale every day and that information is technologically sent to her electronic health record, and the case manager is alerted if she gains three pounds. Nancy: 15:52 She gains three pounds. The case manager immediately contacts her because that could be a sign of worsening congestive heart failure, kidney disease. And so what happens, you know, so far we’ve gotten a lot better. We haven’t really cured her chronic illnesses, but she’s getting better care. She’s in the system and if you just stopped there, I think you could say, great, a lot of good work has been done. But here’s where it gets more interesting to me. So Myrtle used to go to one of the local churches and the case manager and Myrtle started talking about what she used to like to do. The case manager called that church. The church said, Oh yes, we remember Myrtle and we have Sunday night service along with a meal, and so we’d love to pick up Myrtle, bring her to the church, let her have some Wednesday night supper with us – and that begins to happen. Nancy: 16:50 And so now Myrtle’s getting out of her house, she’s developing some relationships. She’s being socially stimulated, she’s eating a better meal. The church also had a Brownie troop and the Brownie troop had a grandparent program and the grandparent that the Brownie troop adopted is Myrtle. So now you’ve got young people in her home. Fast forward 18 months and Myrtle’s not been back in the hospital. She’s living a much healthier, happier life, but we haven’t cured her chronic illnesses. Of course, what we’ve done is provide better care and it truly does take a community. And in all of that you’ve got professional activities. You’ve got technology all supporting Myrtle. And you know what? Myrtle’s got a sister named Mabel. And we can do the same thing with Mabel. Jennifer: 17:44 I love that story because I think it is often so dry the way technology is presented, as we could do this or we could do that and people get so in love with it, but you really bring it home. And there are a lot of Myrtles in the community. Our Rescue, you know, takes care of a lot of Myrtles and you know, we live in rural Vermont. I know you guys are up in Virginia, but we get a lot of snow. We’re not near anything. We don’t have great cell connection in a lot of places. It’s very isolating if people don’t have a lot of family support and sometimes you can’t have that because people are working or out of state. So, I love that your vision is so much about how Myrtle gets to be in her home and yet you really bring the community there. And it reminds me, I’m not sure that we ever spoke about it, but I know Carilion Clinic also does an urban farm and it just seems to me that that kind of community garden thing, it’s part of it. You guys have a very big idea of healthcare and I’m guessing that has a lot to do with your leadership, Nancy. Nancy: 18:51 Oh, you’re very kind to say that. We’ve got such great people doing many things. But the urban farm is a good example. As I imagine Myrtle, which is actually an amalgam of several stories that are very true, Myrtle lives in a neighborhood that’s seen a decline and that’s actually a neighborhood we’ve sort of adopted and where we’re working with the school system, with the police department, with the city. And one of the needs we found is that it’s a food desert, and created this urban garden. More than the urban garden, which is important, is we’re also doing cooking lessons, helping people learn how to cook. And it’s just made a real difference. And then the other component of that is that our physicians can actually give a prescription to their patients, where they can go for free, get food at the urban market or in the grocery store and we will also then help them learn to cook healthy food. Jennifer: 20:06 So how is that being received? Because I know that we’ve talked about social determinants of health and that’s clearly where this conversation keeps going because it has so much to do with not only your supports, but where do you live? And I know you once said to me that your most relevant metric is your zip code. That tells us a lot about what’s going on in your world. And it’s so true. So how was it received? I mean, are people liking the food? Are they taking advantage of the lessons? Do the doctors feel uncomfortable prescribing it? Nancy: 20:38 It’s been a huge success and we are measuring the patients for whom the prescriptions are given and what their experience is in weight loss or weight gain, depending on their nutritional status. Their satisfaction. It’s been a huge win and you are right that one of the biggest predictors of your health is not your blood pressure but your zip code. And that’s a pretty sad commentary but it’s also something we can do things about. And that’s a part of what we believe is our mission – to improve the health of the communities we serve. I’m really looking at what the community needs are and being as specific as we can down to a zip code or even within a zip code to a neighborhood and how to work with that neighborhood to improve their health. Jennifer: 21:35 I love that because what you’re talking about is, you guys are a hospital, but you get out of the hospital, you know, you go out and make it reach out to all the different areas. And I think that is a very different model than, you know, 20, 30 years ago when the hospital was the hospital. You went there. Nancy: 21:54 No question that we are very fluid here, that we don’t see the hospital walls as the end of our responsibility. And we take our mission very seriously. So we’re very much in ambulatory spaces in neighborhoods. You know, we’re a not-for-profit and I believe that our stockholders are, in fact, all the people in our region who pay taxes. And so it’s real important to us that we care about people, whether they’re in the hospital or not, and how we can improve the health status of our community. Jennifer: 22:35 And I just find that that is also so important going forward because our population is getting older. This is obviously happening in most places around the country. And it’s much easier helping people, as you said, where Myrtle stays – in her home. Are you finding that it’s been a welcome thing by different communities, that you can reach out that way and that they don’t have to necessarily always trek in or that, I don’t know how much you guys are using telemedicine yet, but all of those possibilities coming in? Nancy: 23:06 No, we use telemedicine quite a lot. I think that the thing we forget is that most people actually never come into a hospital. Right? Just a few times in their whole lives. So while we live here every day and think that’s where everybody is, most people don’t have acute healthcare needs that bring them into a hospital and that feels like a pretty scary thing for people and they’re very vulnerable. So it’s important to establish trust, to help people stay out of the hospital if they’re ill, if they’re chronically ill and how they can manage their own health. I think that we’re very much a part of the communities that we serve and I think we’re very much a trusted partner with what I call our friends and neighbors now. Jennifer: 24:02 I love that because I know on the ambulance we always have to remind ourselves that we’re seeing people on the worst day that they’re ever going to have. And we’ve talked about doing more community paramedicine and mobile integrated care in our area and it hasn’t really been able to move forward yet. And that obviously is when you can use your Rescue to do things before people get acute and help monitor people who are maybe housebound and have chronic illnesses. And I really do love your vision. That is so community-focused and it truly is caring and that is something that is such a welcomed change to see because I don’t think that our healthcare system has always been like that. I definitely think that there is a push to bring it back to that because that’s what makes for rich communities. Where it’s a vitalized community where people want to interact with one another and get out there and have fun and enjoy their lives and not just try to survive it. So I think that is amazing. Nancy, thank you so much for coming on the podcast and sharing all of these different insights with us. It’s just fantastic. And, for everyone who is listening, just in case you missed the intro, this is Nancy Howell Ageej. She’s the President and CEO of Carilion Clinic, which is a not-for-profit integrated healthcare system in Roanoke, Virginia. It serves over one million people in Virginia and West Virginia. Nancy, it has been a total pleasure. Nancy: 25:34 Thank you so much. Jennifer: 25:35 And thank you so much. And everyone. I’m Jennifer Michelle, President of Michelle Marketing Strategies, where I specialize in helping grow mission-based healthcare organizations. You can find me at michellemarketingstrategies.com. Thank you all for joining us on Leading with Health. Catch you next time!